Laser Facial is an effective solution to help treat a number of skin concerns, including skin texture and tone, wrinkles, acne, collagen production and some forms of pigmentation. Laser energy with long wavelengths penetrates the skin deeply without injuring the top layer and stimulates the production of natural collagen and other vital proteins. Giving your skin added bounce and a healthy and youthful appearance. 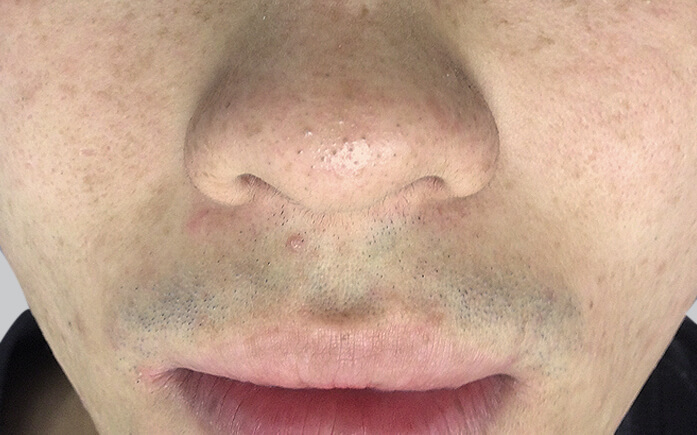 HOW DOES LASER FACIAL WORK? At Australia Laser & Skin Clinics we only use the most advanced, non-invasive and up-to-date medical-grade technology in our Laser Resurfacing treatments. The Q-Switched Alexandrite laser is an adaptable premium-engineered aesthetic machine designed for the treatment of a wide variety of skin conditions and concerns. Q-Switched lasers are known for their photo-mechanical effects, featuring a combination of high power and extremely short pulse widths (less than 20 nanoseconds – one nanosecond is equivalent to one billionth of a second). The effects of the laser energy are due to shockwaves caused at the target, rather than intense heat. 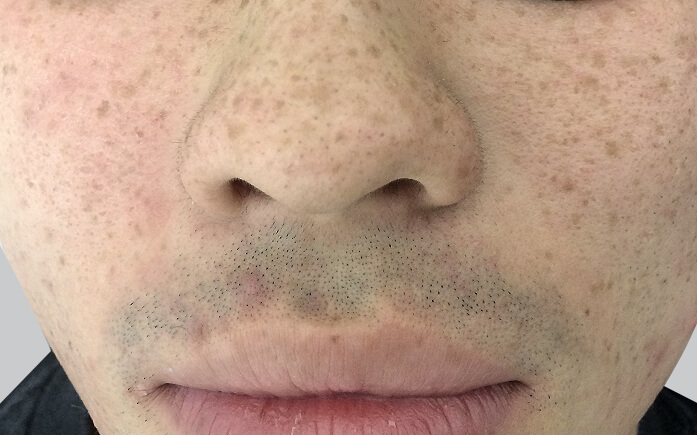 This unique process safely breaks down and shatters small particles of ink or pigmentation, which are then removed by the body’s immune system. 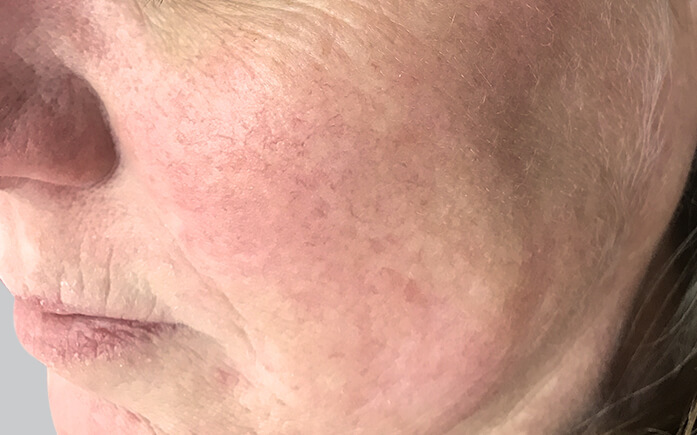 Due to the nature of Q-Switched Laser Resurfacing the treatment gently heats up the skin, also know as ‘bulk heating’, resulting in stimulation rather than destruction of collagen fibres. 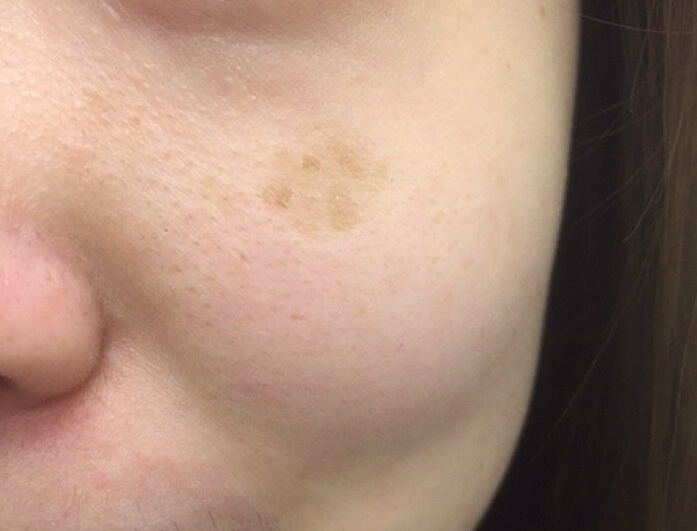 Therefore Q-Switched Laser targets a wide variety of skin imperfections, including tattoos, deep pigmentation, facial redness, uneven skin tone and ageing. Your highly trained and experienced therapist will determine and recommend the frequency of Laser Facial treatments you will need based on your individual skin type and skin concerns. The treatment is non-invasive, almost painless and can be completed in less than 15 minutes. The benefits of a Laser Facial treatment extends to many skin types, conditions and concerns. A Laser Facial Treatment at Australian Laser & Skin Clinics utilises laser energy with long wavelengths that is able to penetrate deeply into the skin, minimising destruction of the epidermis and preventing melanogenesis (the production of melanin). The benefit of this is that it is safe and effective for most skin types for the treatment of pigmentation, wrinkles, acne and skin texture. A Laser Facial treatment may even be recommended on scarring as it helps to support healthy collagen production. A Laser Facial with the professional team at Australian Laser & Skin Clinics is a suitable option for those that are preparing their skin for an event, want to naturally turn back the clock or improve the texture and tone of their skin. Who is Laser Facial best for? The Laser Facial Resurfacing treatments at Australian Laser & Skin Clinics is a revolutionary method performed with photo-acoustic technology. Skin conditions that can be improved include texture and tone, fine lines and wrinkles, sun damage, enlarged pores and congestion. 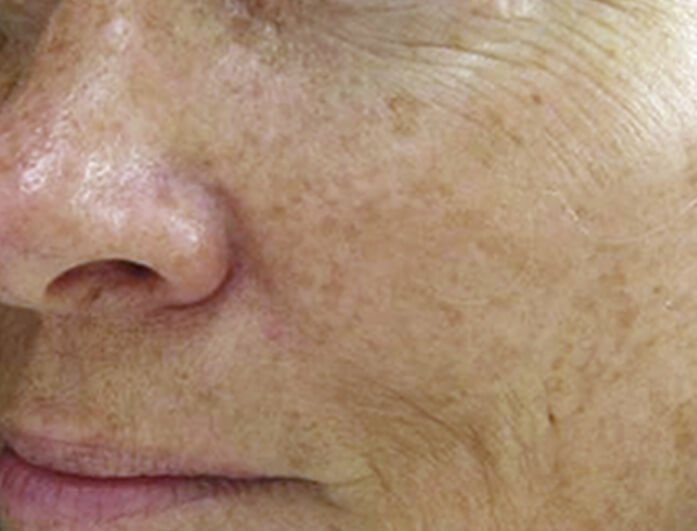 It can also remove freckles, age spots and the results of hormonal hyper-pigmentation. The Laser Facial treatments can be extremely effective for those with flushed skin tones, uneven pigmentation and superficial facial scarring. However, the procedure is not suitable for those suffering from active acne. Laser Facial Resurfacing can be beneficial for those with dark skin tones but may not be as effective on lighter complexions. If you are unsure of the most suitable treatment for you, visit one of our clinics for a complimentary consultation where we can advise you on the best treatment for your skin type and individual concerns. Treatments generally take anywhere between 5 to 10 minutes but can take as long as 30 minutes depending on the concern being treated. For best results, we recommend 4 to 10 sessions in a course of treatments. Maintenance treatments are then highly recommended every 1 to 3 months. This ensures you get the best, long-lasting results from your treatment. 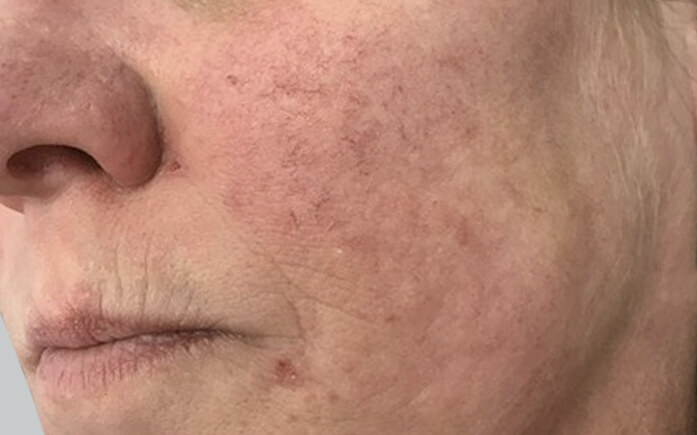 How often can I have a Laser Facial? 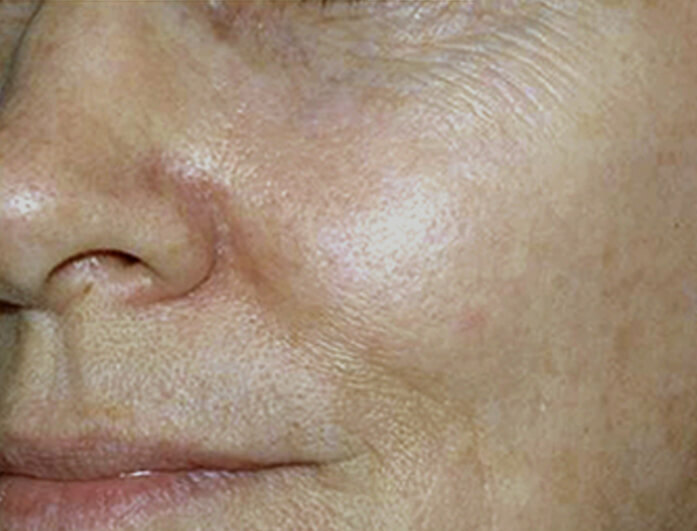 Laser Facial Resurfacing is typically performed every 2 to 5 weeks. However, this may vary, depending on your individual skin type and concerns. 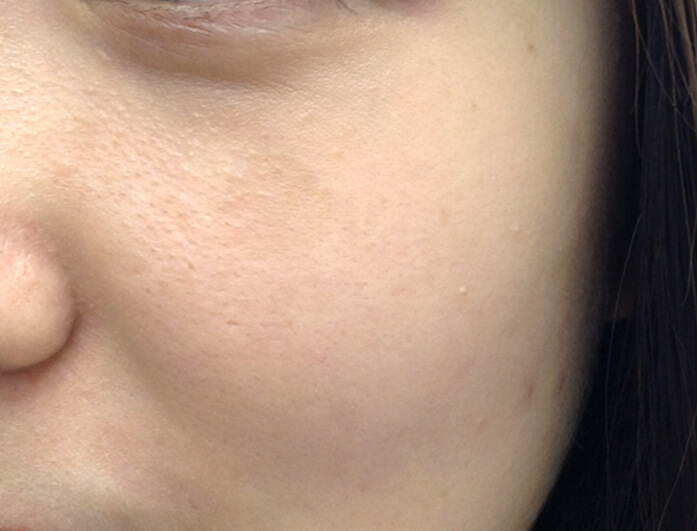 What will my skin look like after a Laser Facial Resurfacing treatment? You may experience a mild sunburn sensation for 5 to 10 minutes following a session. The skin may be slightly flushed with a warm glow that can last for several hours. Some people find that the deep pore cleansing advantages of the treatment bring congestion to the surface, leading to a break out occurring in the following week. Fortunately, break outs are only temporary and are nothing to be concerned by. What is the difference between a standard facial and a Laser Facial? 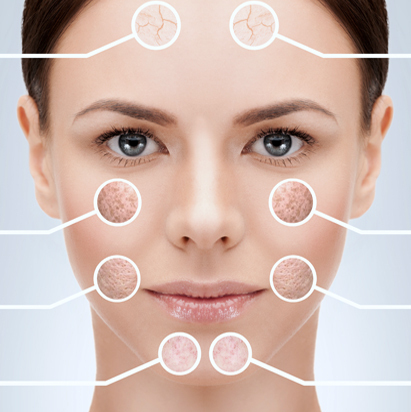 A Laser Facial is a revolutionary treatment in aesthetic technology. Standard facials focus on creating a relaxing experience involving aromatherapy and massages. Though they leave you feeling calm, relaxed and pampered, they do so without providing any significantly lasting improvements to your skin concerns. However, with Laser Facial treatments you will notice your complexion looking and feeling softer, smoother and fresher for much longer compared to having a standard facial. Benefits include deep pore cleansing, a reduction in wrinkles, acne scars, some forms of pigmentation, as well as stimulation of collagen, which improves the appearance of fine lines. The treatment is pain-free and very comfortable. The surface area being treated may experience a warm sensation; however, this will not be painful, and many clients find the treatment pleasant. Furthermore, any lingering sensations usually disappear within the following few hours. Avoid sun exposure and apply SPF30 daily at least one month prior to treatment. No Hair Removal/Laser or Chemical peels can be performed on the area one to two weeks prior to being treated. Avoid heat or excessive sweating for 48 hours. Use SPF30+ every day between treatments. I like coming in for treatments because the staff are extremely helpful and friendly. My therapist has given me fantastic service always with an amazing smile. My skin has improved since getting regular Laser Facial treatments.